Cognitive dissonance is concerned with an incompatibility in the relationship between two cognitions. This theory, first proposed by Leon Festinger, states that people need to maintain consistency among their beliefs, attitudes, and behavior. Contradicting cognitions serve as a driving force that compels the mind to acquire or invent new beliefs, or to modify existing beliefs, in order to reduce the amount of dissonance (conflict) between cognitions and bring them back into a consistent relationship. Although alternative interpretations of the process have been put forward, the phenomenon has proved reliable. Thus, it appears that people lack integrity when faced with this type of inconsistency, preferring to adjust their stated beliefs or attitudes than to admit that they were wrong. A mature person, on the other hand, one united in mind and body centered on purposes of truth, beauty, goodness, and true love, would be expected to show greater integrity. The theory of cognitive dissonance was developed by the psychologist Leon Festinger in the mid-1950s, after observing the counterintuitive persistence of members of a UFO doomsday cult and their increased proselytization after their leader's prophecy failed to materialize. Festinger interpreted the failed message of earth's destruction, sent by extraterrestrials to a suburban housewife, as a "disconfirmed expectancy" that increased dissonance between cognitions, thereby causing most members of the impromptu cult to lessen the dissonance by accepting a new prophecy: That the aliens had instead spared the planet for their sake. Prior to the publication of cognitive dissonance theory in 1956, Festinger and his colleagues had read an interesting item in their local newspaper. A Chicago housewife, Mrs. Marion Keech, had mysteriously been given messages in her house in the form of "automatic writing" from alien beings on the planet "Clarion," who revealed that the world would end in a great flood before dawn on December 21. The group of believers, headed by Mrs. Keech, had taken strong behavioral steps to indicate their degree of commitment to the belief. Some had left jobs, college, and spouse to prepare to leave on the flying saucer which was to rescue the group of true believers. Festinger saw this as a case that would lead to the arousal of dissonance when the prophecy failed. Altering the belief would be difficult. Mrs. Keech and the group were highly committed to it, and had gone to considerable expense to maintain it. A more likely option would be to enlist social support for their original belief. As Festinger wrote, "If more and more people can be persuaded that the system of belief is correct, then clearly it must after all be correct." In this case, if Mrs. Keech could add consonant elements by converting others to the basic premise, then the magnitude of her dissonance following disconfirmation would be reduced. Festinger predicted that the inevitable disconfirmation would be followed by an enthusiastic effort at proselytizing to seek social support and lessen the pain of disconfirmation. Prior to December 20. The group shuns publicity. Interviews are given only grudgingly. Access to Mrs. Keech's house is only provided to those who can convince the group that they are true believers. The group evolves a belief system—provided by the automatic writing from the planet Clarion—to explain the details of the cataclysm, the reason for its occurrence, and the manner in which the group would be saved from the disaster. 12:05 a.m., December 21. No visitor. Someone in the group notices that another clock in the room shows 11:55 p.m. The group agrees that it is not yet midnight. 4:00 a.m. The group has been sitting in stunned silence. A few attempts at finding explanations have failed. Mrs. Keech begins to cry. 4:45 a.m. Another message by automatic writing is sent to Mrs. Keech. It states, in effect, that the God of Earth has decided to spare the planet from destruction. The cataclysm has been called off: "The little group, sitting all night long, had spread so much light that God had saved the world from destruction." Thus, Festinger's prediction was confirmed, and the theory of cognitive dissonance was presented to the public (Festinger et al. 1956). Cognitions which contradict each other are said to be "dissonant." Cognitions that follow from, or fit with, one another are said to be "consonant." "Irrelevant" cognitions are those that have nothing to do with one another. It is generally agreed that people prefer "consonance" in their cognitions, but whether this is the nature of the human condition or the process of socialization remains unknown. For the most part, this phenomenon causes people who feel dissonance to seek information that will reduce dissonance, and avoid information that will increase dissonance. People who are involuntarily exposed to information that increases dissonance are likely to discount such information, by either ignoring it, misinterpreting it, or denying it. The introduction of a new cognition or a piece of knowledge that is "dissonant" with a currently held cognition creates a state of "dissonance." The magnitude of which correlates to the relative importance of the involved cognitions. Dissonance can be reduced either by eliminating dissonant cognitions, or by adding new consonant cognitions. It is usually found that when there is a discrepancy between an attitude and a behavior, it is more likely that the attitude will adjust itself to accommodate the behavior. Historical Examples that seem to illustrate the psychological phenomenon of cognitive dissonance. In Festinger and Carlsmith's classic 1959 experiment, a prime example of an induced compliance study, students were made to perform tedious and meaningless tasks, consisting of turning pegs quarter-turns, removing them from a board, putting them back in, etc. Participants rated these tasks very negatively. After a long period of doing this, students were told the experiment was over and they could leave. Before the participants left, the experimenter then asked one subject for a small favor. They were told that their research assistant was unable to make it to the experiment, and the participant was asked to fill in and try to persuade another person (who was actually an insider) that the tedious tasks that the participant had just completed were interesting, even engaging. The participants were divided into two groups: Subjects in one group were paid 20 dollars for the favor, while those in the other were paid one dollar. When asked to rate the peg-turning tasks later, those in the one-dollar group rated them more positively than those in the 20-dollar group. Festinger and Carlsmith perceived this as evidence for cognitive dissonance. They theorized that when paid only one dollar, students had no other justification and were therefore forced to internalize the attitude they were induced to express. It is argued that those in the 20-dollar group had an obvious external justification for their behavior. The researchers further speculated that since the subjects in the one-dollar group faced insufficient justification for their behavior, they sought to relieve their resulting stress by changing their attitude. This process allowed the subject to genuinely believe that the tasks were enjoyable. Simply put, the experimenters concluded that human beings, when asked to lie without being given sufficient justification, will convince themselves that the lie they are asked to tell is actually the truth. This study has been criticized on the grounds that being paid twenty dollars may have aroused the suspicion of some participants (given that this was quite a significant sum of money in 1956). However, later experimenters used counter-attitudinal essay-writing, in which people were paid varying amounts of money (for example, one or ten dollars) for writing essays expressing opinions contrary to their own. These studies also found support for cognitive dissonance theory. Jack Brehm conducted an experiment in which housewives, observed after making a decision, tended to favor the alternative which they had selected even more strongly (Brehm, 1956). This can be explained in dissonance terms. If a person continues to wish for rejected alternatives dissonance will be aroused between the cognitions "I chose something else" and "I preferred that option." Therefore, to reduce dissonance, the person increases their attention to the positive aspects of their choice and rejects any information that would lead them to wish they had chosen the other alternative. The Great Disappointment refers to the early history of specific Christian denominations in the United States, which began when Jesus failed to appear in his Second Coming by October 22, 1844, thus passing the date they had come to believe was the appointed time. Between 1831 and 1844, a Baptist preacher by the name of William Miller, launched what has been called by historians as "Second Great Awakening." Miller preached a set of fourteen rules for the interpretation of the Bible. Based on his study of the prophecy, Miller calculated that Jesus would return to earth sometime between the 21st of March 1843 and 21st of March 1844. When Jesus did not appear, Miller's followers, known as the "Millerites," experienced what would be coined as "The Great Disappointment." Many of the followers left the movement. A group of the remaining followers concluded that the prophecy did not predict that Jesus would return to earth in 1844, but that the investigative judgment in heaven would begin in that year. Were I to live my life over again, with the same evidence that I then had, to be honest with God and man, I should have to do as I have done. I confess my error, and acknowledge my disappointment. Miller continued to wait for the Second Coming until his death in 1849. Despite these disappointments however, subsequent leaders and historians would adopt other theories or explanation for the "Second Great Awakening." The Great Disappointment is viewed as an example of how the psychological phenomenon of cognitive dissonance manifests itself through "disconfirmed expectancies" which often arise in a religious context. When Seventh-day Adventist Church historians write about the morning of October 23, they refer to a vision said to have been received by Hiram Edson (1806-1882), an early Adventist. Edson claimed he had a vision that indicated the date predicted by Miller was correct. Further Bible study and visions led the early Seventh-day Adventists to believe that Christ went into the second apartment of the heavenly sanctuary in 1844, to begin the investigative judgment of both righteous and wicked in order to see who is worthy of going to heaven. This investigative judgment is said to take place prior to his Second Coming. Also, shortly after the Great Disappointment, in December 1844, Ellen White wrote that she received her first vision, a depiction of the Millerite people following Jesus, marching to the city (heaven). This vision was taken by those around her as an encouraging sign after the devastation of the Great Disappointment. She was encouraged both in visions and by fellow church members to more broadly share her message, which she did, inspiring and guiding the development of the Seventh-day Adventist church. Jonas Wendell, an Adventist preacher, experienced periods of weak faith after 1844. 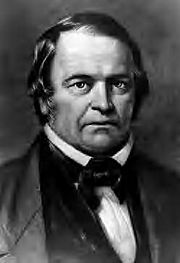 After studying the chronology of the Bible, he came to the conclusion that the Second Coming would be later than 1844. In 1870, he published a booklet concluding it was to be in 1873 or 1874. Charles Taze Russell was strongly influenced by Jonas Wendell's prediction of the Second Coming in 1874. Former Millerite ministers George Storrs and George Stetson joined Russell supporting the growth and development of his worldwide ministry, the International Bible Students Association. A schism occurred in that movement in 1933, where the leadership changed the date of the Second Coming to 1914. The main branch of that movement came to be known as the Jehovah's Witnesses, while many members refused the change. Bible Students still assert that the Second Coming was in 1874. The Fox and the Grapes is an Aesop fable. The protagonist, a fox, upon failing to find a way to reach grapes hanging high up on a vine, retreated and said, "The grapes are sour anyway!" The moral is stated at the end of the fable as: It is easy to despise what you cannot get. The English expression, "sour grapes," derived from this fable, refers to the denial of one's desire for something that one fails to acquire. Similar idioms exist in other languages as well, for example the Persian (Iranian) idiom: The cat that cannot reach the meat says it smells bad! From a psychological standpoint, this behavior is classified as rationalization. It may also be called reduction of cognitive dissonance. Colloquially speaking, this idiom is often applied to someone who loses and fails to do so gracefully. Strictly speaking though, it should be applied to someone who, after losing, denies the intention to win altogether. Daryl Bem (1965; 1967) proposed the "self-perception" theory as an alternative to cognitive dissonance theory. Bem contended that people do not have inner access to their own attitudes and are therefore unable to determine whether or not they are in conflict. According to Bem, the inner workings of Festinger’s original study were the result of participants inferring their attitudes from their behavior. Bem, whose self-perception theory was based largely on the behaviorism of B. F. Skinner, explained that those paid only one dollar inferred their attitude towards the task from their behavior—when asked if they found the task interesting they replied that they had, based on the fact that they had told someone else that it was interesting. On the other hand, Bem argued that those paid twenty dollars in the Festinger and Carlsmith study were unable to see their verbal behavior as an example of what Skinner called "mands"—elements of speech that are commands and demands rather than mere statements. Consequently, these people would have not perceived their vocal utterances as being directly tied to their behavior, and so did not change their attitude towards the tedious task. Aronson (1969) also challenged the basic theory, this time by linking it to the self-concept. He believed that cognitive dissonance did not arise because people experienced dissonance between conflicting cognitions; rather, it surfaced when people saw their actions as conflicting with their self-concept. According to Aronson, people would not experience dissonance in their situation as long as their self-concept was not challenged. Tedeschi (1971) also argued in similar fashion that maintaining cognitive consistency is a way to protect public self-image. Since these different interpretations generally make the same predictions, it has been difficult for social psychologists to distinguish among these theories. While a highly established theory, cognitive dissonance has not been not without its share of criticisms. Methodological ambiguities were reported in classic cognitive dissonance studies (Chapanis and Chapanis 1964). Rosenburg (1965) suggested that in many of the experiments that the participants may feel as though their sincerity and integrity were being tested. And this, according to Rosenburg, may produce results consistent with cognitive dissonance theory, but that were in reality the result of the subjects' conception that they were being evaluated. These criticisms and contributions to cognitive dissonance theory have encouraged experiments that are more soundly designed, yielding additional data supporting the phenomenon, although not distinguishing the precise mechanism. The cognitive dissonance interpretation has numerous applications to our everyday lives. It is observable in consumerism, as a person makes a choice to buy one product over another. Any comparison of the bad features of the chosen product and the good features of the product not chosen results in dissonance. The consumer, in order to lessen the discomfort of such conflicting cognitions, generally avoids further comparisons, and when forced to confront such features changes his evaluation of the importance of the dissonant features. There is also something known as buyer's remorse. From a marketing standpoint, this theory contends that a consumer may use a particular product because they believe it to be the most effective of its kind. But, when a consumer sees a competitor's advertisement, and believes that this particular product is better than the one that they are using, this creates cognitive dissonance. As a result, the consumer buys the "new" product believing it to be more effective. The cognitive dissonance model also explains why those who join a group after going through a difficult qualification process value their membership highly, regardless of whether the group actually fulfills their expectations. Thus, the practice of "hazing" new members of college fraternities and sororities guarantees loyalty, as the new member cannot change the behavior they were required to go through in order to join, and so can only change their belief that membership in the group is valuable and justifies such behavior. Social commentators have interpreted changing justifications for military action, such as in the 2003 U.S.-led invasion of Iraq, as a situation involving dissonance reduction. When the initial reason for taking action, imminent danger from weapons of mass destruction, proved false, and the behavior could not be reversed, new justifications for the war (such as the support of terrorist organizations) began to be presented. ↑ Candle in the Dark, Leon Festinger: Theory of Cognitive Dissonance. Retrieved April 1, 2008. ↑ www.earlysda.com, Miller's Rules of Scriptural Interpretation. Retrieved April 1, 2008. ↑ Gospelcom, Miller Mistakenly Set a Date for Christ's Return. Retrieved April 1, 2008. ↑ Candle in the Dark, Leon Festinger:Theory of Cognitive Dissonance. Retrieved April 1, 2008. Aronson, E. 1969. "The theory of cognitive dissonance: A current perspective." In Advances in Experimental Social Psychology. Volume 4, pp1-34. New York: Academic Press. Bem, D.J. 1965. "An experimental analysis of self-persuasion." In Journal of Experimental Social Psychology. 1, 199-218. Bem, D.J. 1967. "Self-perception: An alternative interpretation of cognitive dissonance phenomena." In Psychological Review. 74, 183-200. Brehm, J. 1956. "Post-decision changes in desirability of alternatives." In Journal of Abnormal and Social Psychology. 52, 384-389. Festinger, L. and J.M. Carlsmith. 1959. "Cognitive consequences of forced compliance." In Journal of Abnormal and Social Psychology. 58, 203-211. Knox, R. E., & J.A. Inkster. 1968. "Postdecision dissonance at post time." In Journal of Personality and Social Psychology. 8, 319-323. Sherman, S.J. and F.B. Gorkin. 1980. "Attitude bolstering when behavior is inconsistent with central attitudes." In Journal of Experimental Social Psychology. 16, 388-403. Tedeschi, J.T., Schlenker, B.R., and T.V. Bonoma. 1971. "Cognitive dissonance: Private ratiocination or public spectacle?" In American Psychologist. 26, 685-695. Festinger and Carlsmith's original paper. The Fox and the Grapes Story with pictures from umass.edu. When Prophecies Fail: A Sociological Perspective on Failed Expectation in the Watchtower Society by Randall Waters from the Bethel Ministries Newsletter May/June 1990 (now the Free Minds Journal).